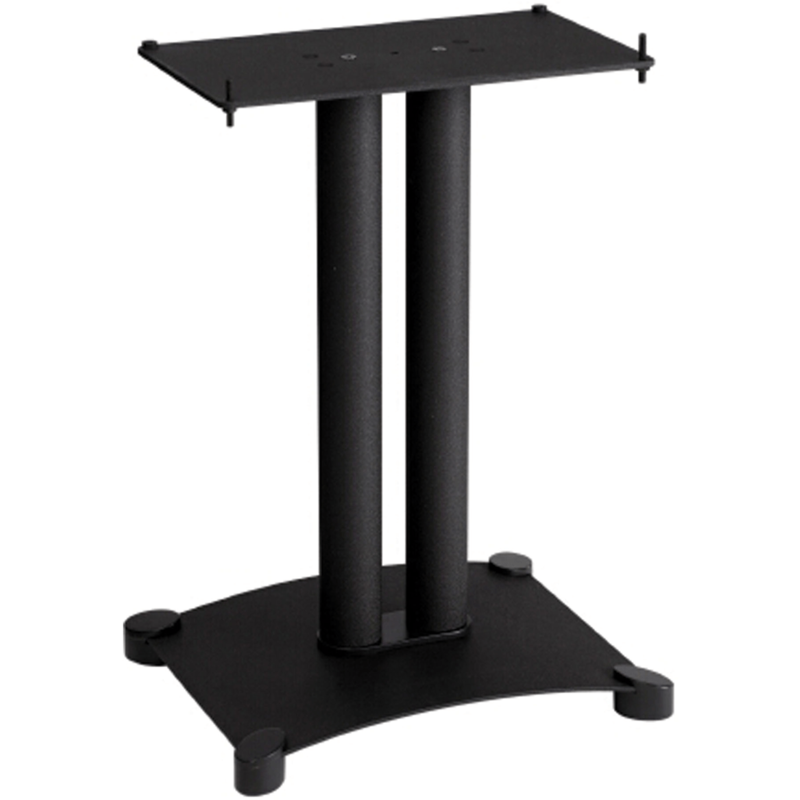 The Sanus SFC22B is a 22-inch stand for center-channel speakers up to 35 lbs. Its extra-large steel base includes optional carpet spikes for superior stability on any surface. Twin heavy-gauge steel pillars feature a concealed wire path and resonance damping rings and can be filled with sand or shot for added mass. The 14 by 8-inch top plate offers adjustable brass studs for center channel speaker alignment. This product is sold individually. Adjustable carpet spikes, Acoustic properties tested in anechoic chamber, Heavy-gauge steel construction. Isolate vibrations with resonance damping rings, Includes brass isolation studs.